Getting back to the Roots of functional fitness without all the BS! Look, feel and move your best with Roots Adult Functional Fitness. Everything you need and nothing you don't. Join our close group of Next Level Family members to reach your individualized goals! All ages and ability levels welcome! Try a session for free anytime! Learn more about the WHY behind Roots HERE! * Contact us to request additional Roots sessions! Showers and locker rooms are available! TO GET STARTED: Email: info@trainatnextlevel.com to schedule your FREE trial session, or Functional Screen/ Goal Setting Consultation! *Excellus & MVP members may be able to get reimbursements for training- check with your insurance providers! We will provide documentation of visits and purchases. 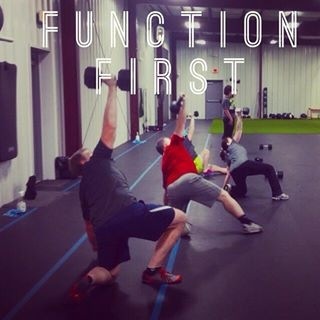 While we share many of the same principles of CrossFit, we prefer a more systematic approach than most CF gyms. It's our belief that a certain level of general strength and flexibility are required for aptitude in any of the other fitness domains. Learn more HERE.